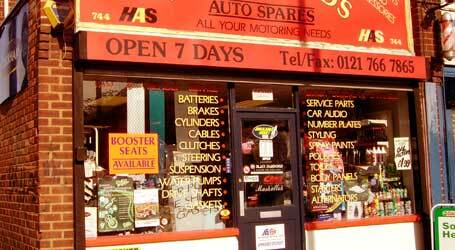 At Heartlands Autospares we offer a mobile fitting service for all alarms supplied, immobilisers and superchips. Our staff are knowledgeable in all aspects of motor vehicles and are happy to advice with any problem enquiries on products and materials to use. All our products come with a one year guarantee with production of receipts. Clutches have a full two year guarantee or 40,000 miles, whichever is sooner for all components. We are direct so our prices are extremely competitive because we cut out the middle man. Full range of sports bulbs, zenon and ice blue lights etc. We have a large catalogue of alloy wheels which can be purchased to order. Our showroom also stocks a full range of audio equipment including headsets, spoilers, amps and base boxes. Supplying all body parts including doors, sills, bonnets, bumpers etc.